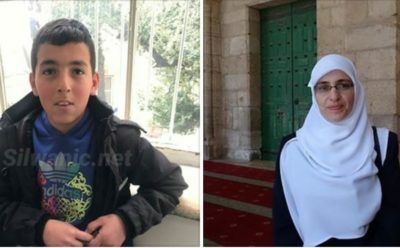 Israeli soldiers summoned for interrogation, Wednesday, a Palestinian child and a teacher from occupied Jerusalem. Media sources said the child, identified as Abdul-Rahman Bilal Mahmoud, 11, was summoned for interrogation after the soldiers invaded his home in the al-‘Isawiya town, and abducted his brother Hasan. They added that the soldiers also summoned for interrogation a teacher, identified as Khadija ‘Oweiss, who is a former political prisoner, and was frequently detained and interrogated by the police, for protesting the ongoing Israeli violations, and invasion into the Al-Aqsa Mosque. During some of her previous abductions and interrogations, ‘Oweiss also received orders denying her access to the Al-Aqsa Mosque and the Old City for various periods of time. 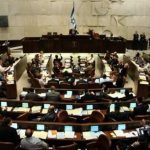 On Wednesday at dawn, the soldiers abducted twenty-two Palestinians, including children, from the al-‘Isawiya town, during extensive invasions and searches of homes.